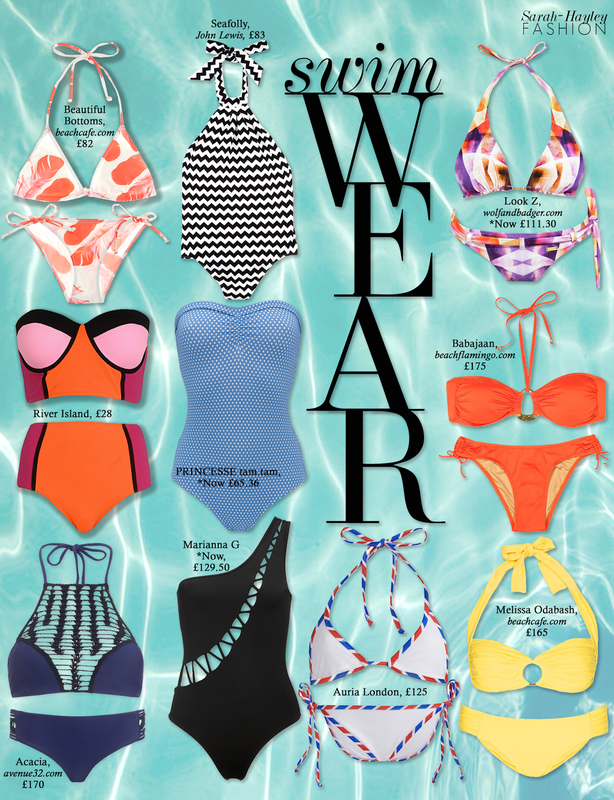 Style - Sensational Swimwear : The Edit. We have seen a shift in swimwear for the past few seasons. Designers have more freedom to create fashion-forward designs, experimenting with shape and prints. I have found some sensational pieces to suit everyone’s unique poolside style. My new swimwear find is Look Z at wolfandbadger.com. With a collection full of incredible prints, Look 7 swimwear is designed, produced and made in Europe, creating pieces for women who desire quality and tailoring to achieve the perfect cut and fit. One of my favourite bikini's on the highstreet is this striking number by River Island. The retro design, featuring my two favourite contrasting colours, pink and orange, is a most flattering silhouette with a high waisted bikini bottom and sharp black edging. Whether you're looking for a bikini or one piece. Take your pick from a further eight stylish designs guaranteed to wow on the beach.